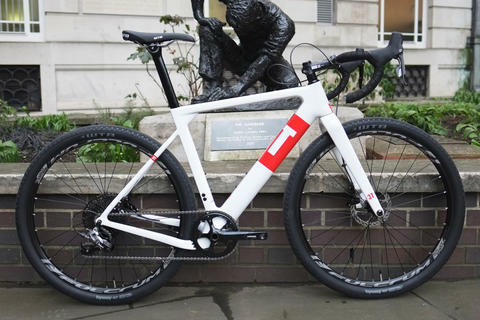 Richard comes from a mountain bike background and was looking for something to tackle Land's End to John O'Groats. 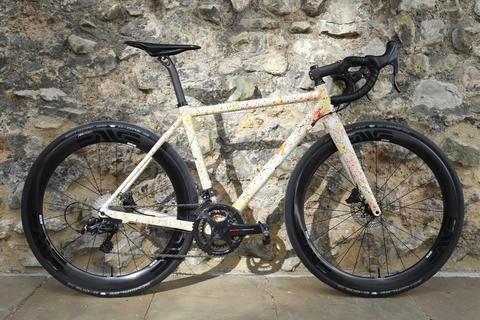 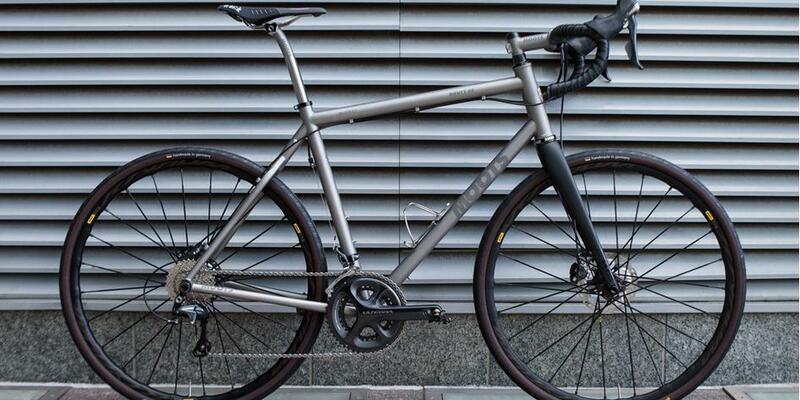 The Moots Routt 45 really struck a chord with him and this build was the result. 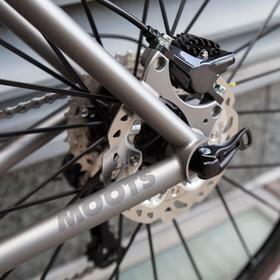 Moots are world renowned for the quality of their titanium construction. 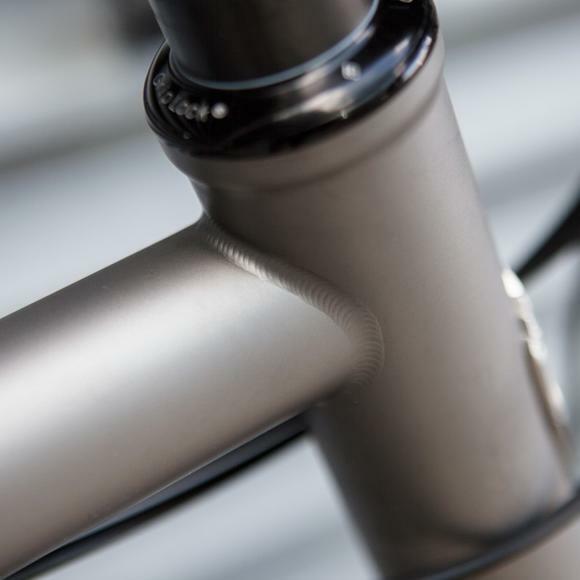 Their welding is incredible, their engineering matchless, the purity of their tubing unquestionable. 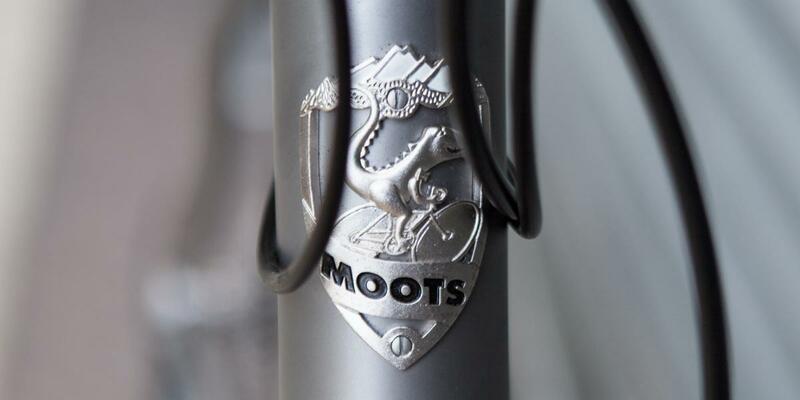 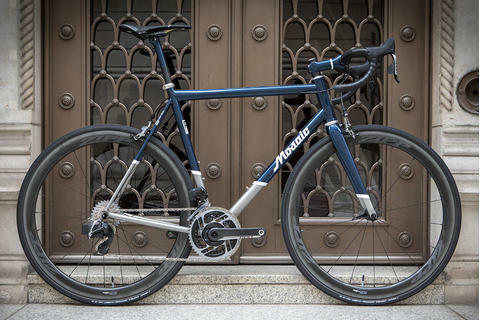 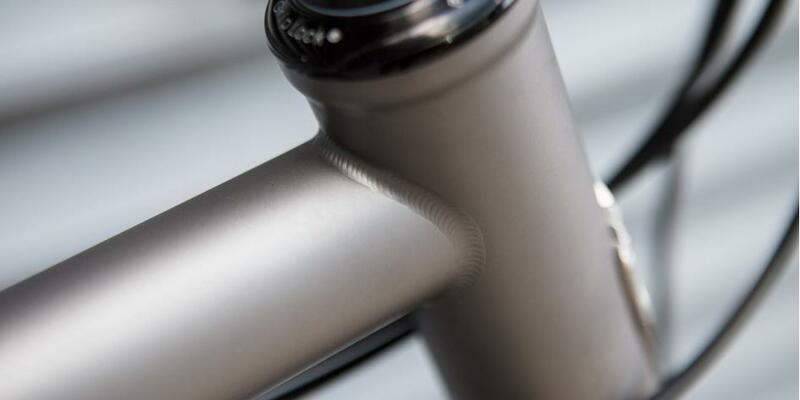 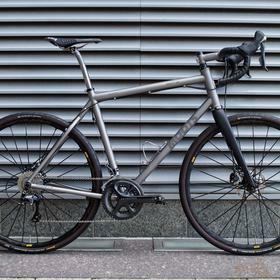 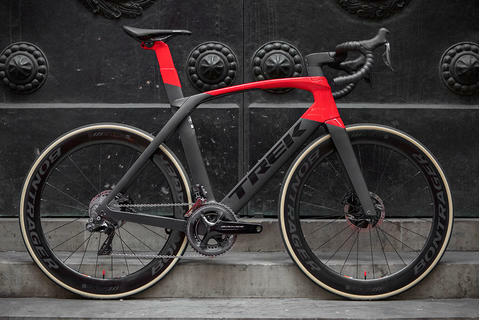 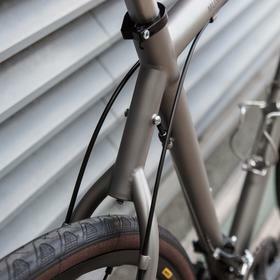 Moots make precision engineered titanium bikes for a lifetime of use. 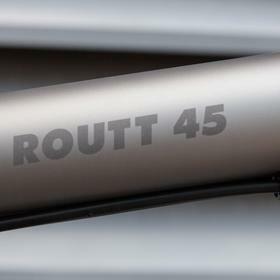 The Routt 45 is designed for wider tyres, letting you ride long distance over rougher terrains. 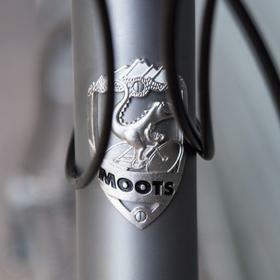 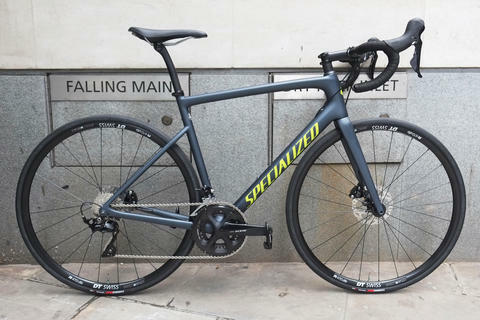 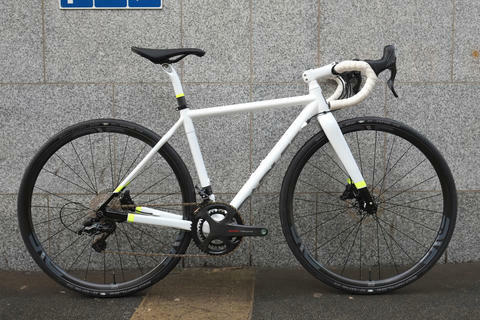 With rack mounts, fender mounts, options to add S&S couplers, more bottle mounts and so on, all Moots framesets can be tailored to your individual needs. 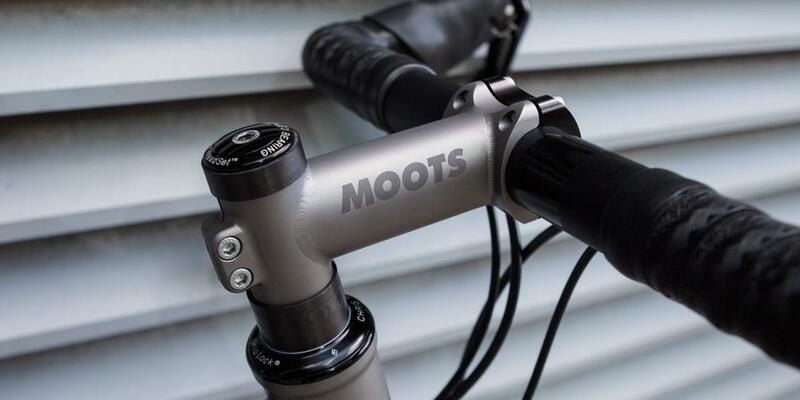 With Moots ti stem and seatpost, Richard gets the ride the Routt was designed for. 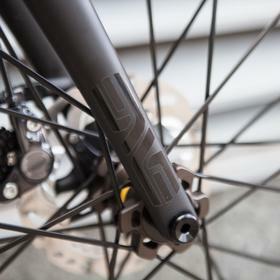 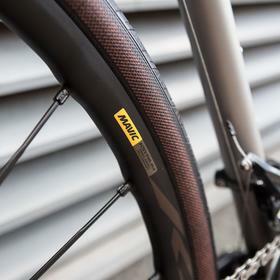 Mavic Ksyrium Disc All-Road wheels give a wider internal rim profile for the tyre to sit, giving a better feel and better profile to the tyre. 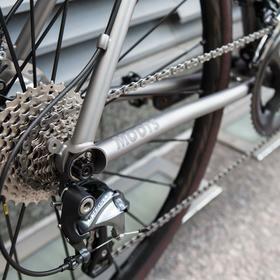 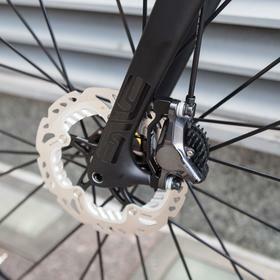 Ultegra mechanical keeps it efficient without the need to recharge on super-long missions in the wilderness. 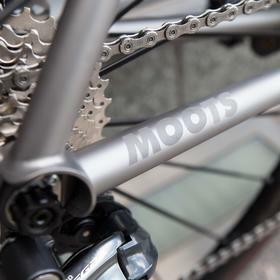 Come and see us about all the different Moots options.